BlackBerry Messenger for iOS has been updated to BBM 2.0 which includes some interesting new features. 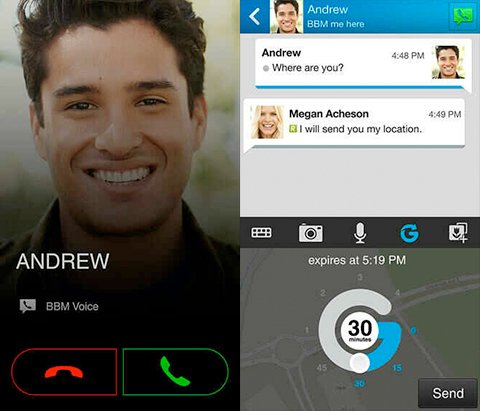 From now on you can use BBM to make voice calls end share your location. It also gives you the option to share files from your dropbox account, join larger group chats and use 100 new emoticons. With great new features like BBM Voice, BBM Channels and all new ways to share, there’s more ways than ever before to BBM me. · Location sharing – Share your location temporarily, powered by Glympse. Your location is updated live on a map, right in BBM. When the timer runs out your location is private again. You can download BBM for iOS in the App Store for free.